CHAMPAIGN, Ill. (WLS) -- The family of a missing University of Illinois student is now offering a $10,000 reward for information leading to his safe return. 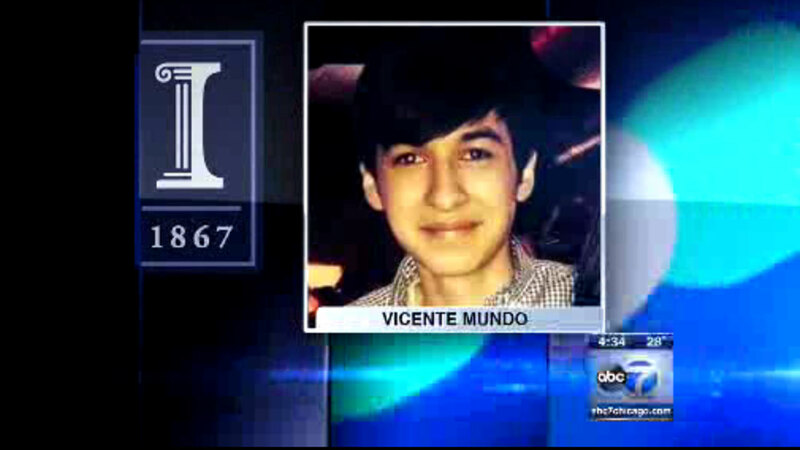 Vicente Mundo, 20, was last seen Sunday at about 7 p.m. after leaving an apartment in Champaign. He was on his way to meet another friend, his family said, when he disappeared. His cell phone last pinged at Mahomet, a small town 11 miles away. His car, a 2006 Acura TL with Chicago Bears vanity plates #2557, is also missing. Mundo is from Chicago, but is studying in Champaign.